About Antoinette Rodriguez aka "ARod"
Antoinette is the CEO of MarFi Advisors, a Professional Service Provider Coaching firm, based on New York City and founded in 2006. She has over 32 years of experience in "C" level relationship development and is a former Financial Advisor at Merrill Lynch's former downtown headquarters. Antoinette's experience includes coaching Senior and million dollar financial professionals at Merrill Lynch, UBS, Morgan Stanley Smith Barney, Wells Fargo, Independent, RIA and Venture Capital Services Firms across the USA. She advises a limited number of consulting clients one on one and coaches entire professional advisor teams. 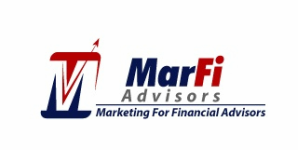 She also develops online training videos and custom videos for Financial Advisors via MarFi Video Production. Antoinette is also the founder of the invitation only LinkedIn group of financial professionals who market to High Net Worth (HNW) Investors and "C" level prospects - "Marketing to High Net Worth Investors' Group". The group posts relevant (and sometimes irreverent) sales, marketing, business development, strategic business, wealth demographics, behavioral finance, niche markets, wealth psychology and female investor-type information, videos and commentary. If you are a financial professional who targets high net worth investors, ask to join the Marketing to High Net Worth Investors' group. Antoinette earned a B.S. in Finance and an M.B.A. in Total Quality Management and International Business from the University of South Florida in Tampa, Florida. She graduated during a market crash and after meeting with the CEO of a very well known financial services firm, decided that she didn't want to go into penny stocks. Marketing? Go figure! Antoinette grew up in Brooklyn, New York, in what was then, the "mean" streets of Bushwick. She was the first person in her family to graduate from high school, undergrad and graduate school. She lived in Tampa, Florida for 18 years and moved back to downtown, NYC after the historic events of 9/11. Antoinette lives and works on Wall Street and loves the vibrancy of the city.